A water purifying system from RainSoft will deliver clean, great-tasting drinking water right from your kitchen tap in New Castle, DE. For a noticeable difference that you can taste, you can trust the experts at RainSoft. Since 1953, we’ve been providing homeowners throughout the world with high-quality drinking water solutions, and our current product line incorporates water purification technology that is truly state of the art. 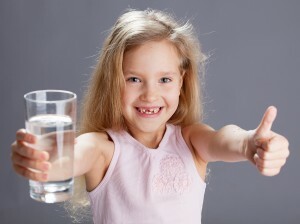 You might wonder whether you need a water purifying system for your home. After all, if your water is supplied by a municipality in New Castle, Delaware, it is required by law to meet certain standards to ensure that it is safe to drink. Even so, the water quality in your home might not meet your own standards. That’s because ordinary tap water often contains chlorine and other additives that, while harmless, can create unpleasant tastes and odors. Many families deal with this by continually purchasing bottled water for all of their drinking and cooking needs. A simpler alternative that also will be more cost effective over the long run is a home water purifying system from RainSoft. Ultrefiner II – This premier system provides multiple lines of defense to ensure high-quality drinking water. Utilizing reverse osmosis technology, the Ultrefiner II removes particles and contaminants at a molecular level. Don’t be fooled by its power, though; the low profile design of this robust system makes it suitable for mounting right under your kitchen sink. Alternatively, it can be installed in the basement directly below the kitchen sink. Hydrefiner – A highly compressed carbon block filter produces high-quality water for drinking, cooking, making ice, brewing coffee and tea, preparing baby formula, and other household needs. Compact and economical, this system installs out of sight under your kitchen sink or in the basement below it. Whichever system you choose, you can count on enjoying great-tasting drinking water for years to come. That’s because this important investment in your home will be fully protected by a Limited Lifetime Warranty. To learn more about the benefits of investing in a water purifying system for your residence in New Castle, DE, contact an authorized RainSoft dealer today. We also offer whole-house problem solving water filters, water conditioners, and air filtration systems for homeowners worldwide.